Ars Choralis is dedicated to celebrating the human spirit through the performance of choral music of all periods and styles. We believe music has the power to transcend all barriers of language, culture, race, class, and emotion to unite people facing a world of increasing factionalism and violence. Drawing its membership from throughout the Hudson River Valley, Ars Choralis reflects the area’s diverse artistic community, including professional musicians, writers, teachers, lawyers, nurses, builders, students, clergy, gardeners, editors, etc. Though diverse in their professions and backgrounds, members share a common joy of singing, and a deep spirituality that imbues every performance with a special quality. Since igniting the musical life of the Woodstock, NY arts community with its first concert on June 12, 1965, the group has been unfailing in its effort to perform the world’s finest choral music, from renowned masterworks to chorale chamber music of all genres to new commissions and premieres. 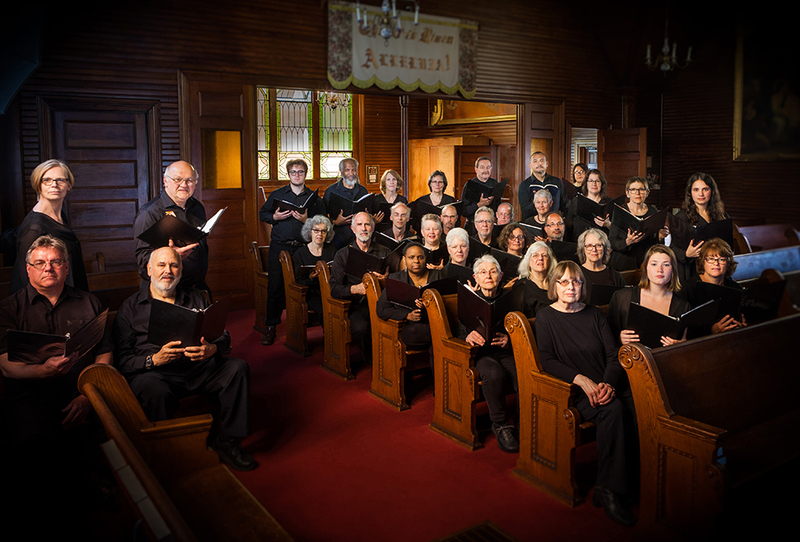 Ars Choralis follows a three-concert season, performing in December, March and June, often in collaboration with area orchestras, chamber ensembles, dance and theater groups. ‟Artist Within‟ chamber concerts feature individual members of the chorus in solo and ensemble performance. The chorus is known for innovative programming, weaving together choral music and the spoken word into an artistic expression of its own. At the dawn of the new millennium, artistic director Barbara Pickhardt created a series of concerts, Messengers of Peace, designed to foster compassion, peace and good will among people. It was first performed in Kingston, NY on New Year’s Eve, 2000/2001 and subsequently performed in Budapest and Vienna. Messengers of Peace was further adapted and performed to offer hope and solace to the community in times of tragedy and natural disasters. Pickhardt’s unique creations for Ars Choralis turned to the Holocaust with the powerful Music in Desperate Times: Remembering the Women’s Orchestra of Birkenau concert performed throughout the Hudson Valley, at the Cathedral of St. John the Divine in Manhattan and in Berlin, Germany. The celebrated Welcome Yule concerts have often included segments of music woven among words from Dickens’ Pickwick Papers and Christmas Carol, Dylan Thomas’ A Child’s Christmas in Wales, Maya Angelou’s Amazing Peace, Native American legends and Civil War diaries. Auditions for membership in Ars Choralis are held in September and, on special request, in January and March. To arrange an audition contact Barbara at bpickhardt@gmail.com.